Well I’ve been banging on about this star blouse for weeks now haven’t I?! Its been on wish lists and star posts and in the shopping list that constantly lives in my mind (just me?). 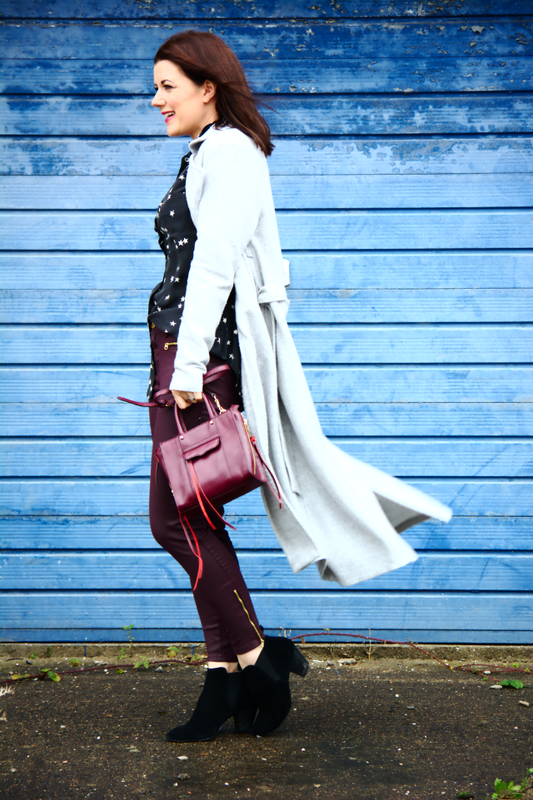 And finally I’m giving it it’s starring (heh) moment here on the blog.. hurraahh! I say hurrahh because its honestly a stunning blouse that i thoroughly enjoy wearing. Do you have any items that you just slip on without much thought and yet feel a million dollars ( or pounds or euros.. feel free to delete as appropriate). This star shirt is exactly that to me. I mentioned in my star post how i’ve worn in for multiple occasions since i received it as it really is a versatile little number. It looks cute with boyfriend jeans and my beloved NB trainers, its great with berry tones and lovely with red. It can also be dressed up with a bit of faux leather, some heels and a blingtastic necklace for an evening out. 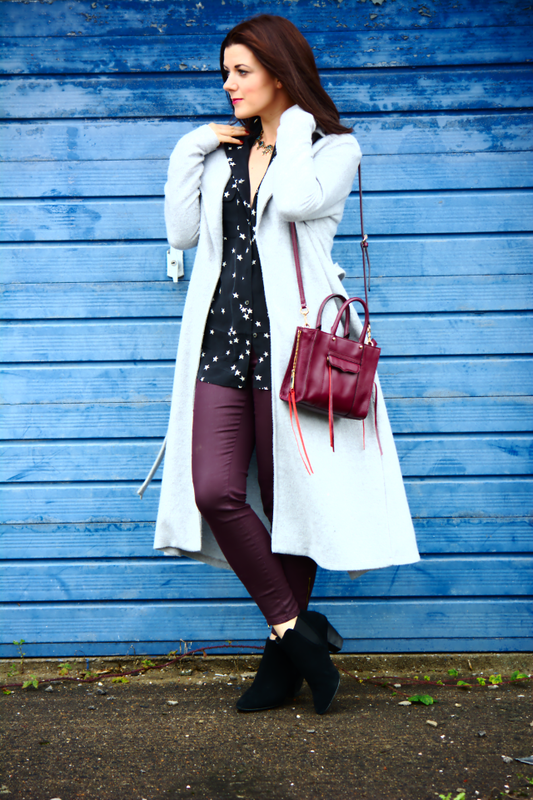 I paired my lovely star blouse with my river Island fluffy longline trench, that was a spur of the moment purchase a couple of months ago, but has already been worth every penny. I don’t think i realised how much i would wear it when i bought it, its honestly like wrapping yourself in your duvet and leaving the house. I just have two problems with it. 2. No good in the rain. Unless i want my lovely fluffy woolie trench to become a ball of fizz… like my hair. But problems aside (and avoiding all rain showers like i’m made of sugar) i do love it. It was funny Rachel. A bit ago I saw your "star" post, and then it was like for the whole rest of the week I was noticing stars everywhere, and I'd think of you. It was kind of fun! I love how you so effortlessly mix this merlot color. It seriously is Rachel's color. It looks so good on you. I wonder if I have a color….? Hmm….anyway, I'm going to think on that and get back to you. Thank you for this link up! I always look forward to #Passion4Friday! Thank you for hosting. I like your star blouse. It will be a great piece because you can style it up or any other way. your pants are the bomb! 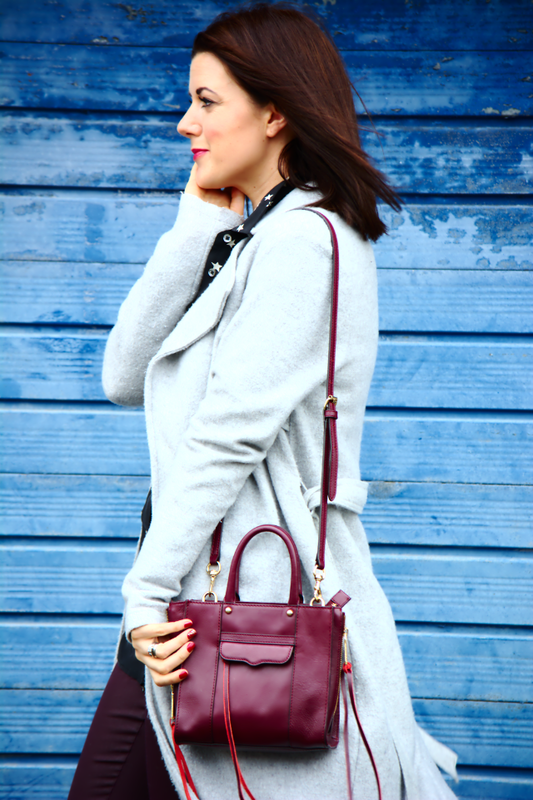 loving burgundy as a neutral! This is a fun shirt! I like how you combined it with the star necklace. 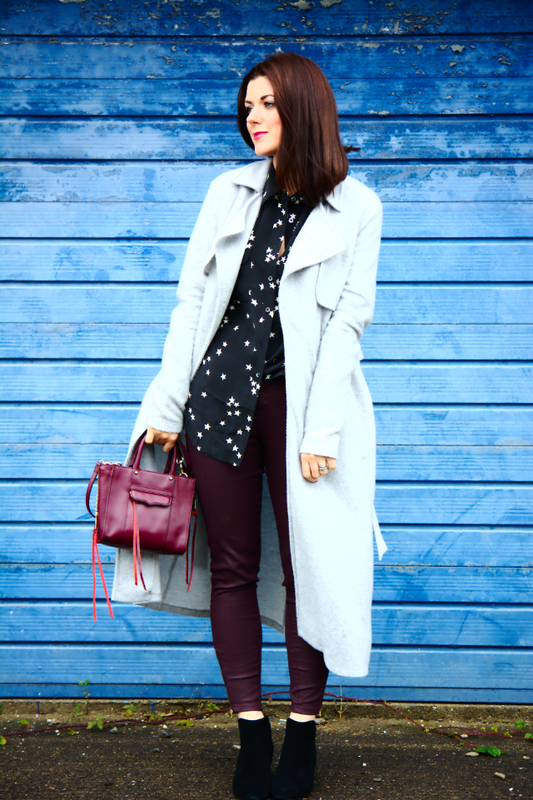 The burgundy jeans look perfect on you! Have a great weekend! Love this shirt!!! The stars are so pretty!! Love this skirt paired with the coated denim! Thank you for hosting and hope you are having a fab week! I love that star blouse! I love your star blouse! Equipment makes my favorite shirts, and whenever I throw one on I always feel put together! 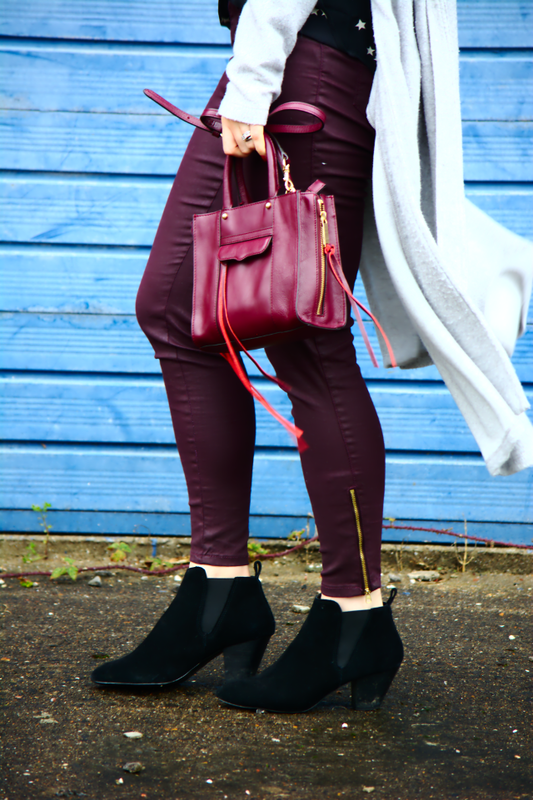 Loving yours paired with the burgundy pants! Oh Rachel those colours!!! Love stars – it's not a print you see very often. Love this whole look! The colors, patterns and textures are all amazing!! Gorgeous! That shirt was made for those trousers and vice versa. Just love that rich colour of the trousers. And there's something about stars that always makes me smile! More so than spots. Don't you just hate coats that molt? I had a puffa style, workhorse one a couple of years ago but I had to get rid of it as every time I took it off, it looked as if all the inhabitants of a cattery had sneezed on me! I'm in love with those jeans. You look great! Glad I could make it to the party, yeahhhhhhhhhhhhhh. I hope one day it is a true one. Believe or not star print items are trending! And that blouse is one of the items I saw online! That is a great pick. What a chic and cozy look. I have similar black booties and coated burgundy jeans like those. I must say I love the blouse, coat and handbag. 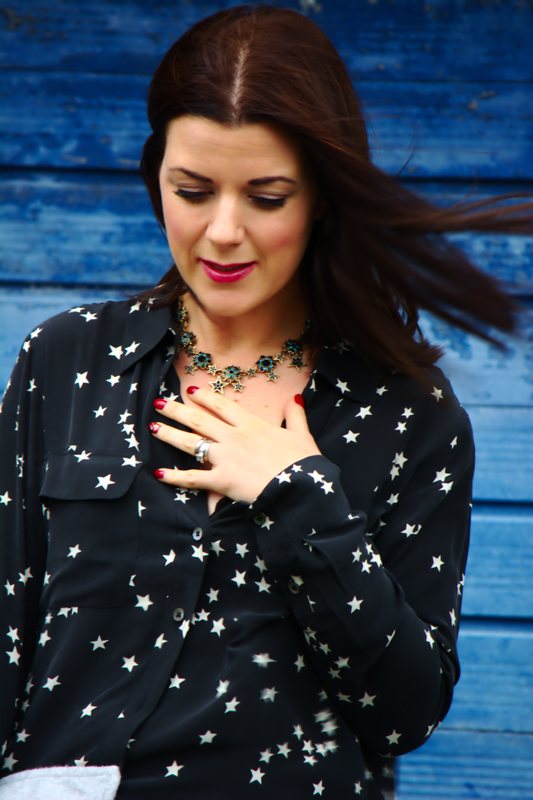 The star blouse looks gorgeous with the star necklace. Thanks for the linkup pretty lady. Enjoy the weekend! <3 Ada. I always have an endless list of I wants in my head ! I love the berry colour jeans, there up there now too. This star blouse is so awesome! It's great because it would pair well with so many different outfits. I'm loving it with the burgundy pants. Your fuzzy trench coat is fantastic too! Love this blog… just discovering!